Taxpayers with hidden offshore accounts have more than just the federal government to worry about; states are also pursuing to varying degrees the tax revenue owed, and at least two are obtaining information on how to proceed legally independent of the federal government. Taxpayers with hidden offshore accounts have more than just the federal government to worry about. States are also pursuing to varying degrees the tax revenue owed, and at least two are obtaining information on how to proceed legally independent of the federal government. After Swiss banking giant UBS AG's private offshore banking practices dominated tax headlines in 2009, the IRS held a highly publicized voluntary offshore disclosure initiative. What is not as well known is that seven states modeled their own limited offshore disclosure initiatives after the IRS's. Two years later, headlines once again are dominated by fast-moving offshore tax evasion developments at the federal level. The Justice Department is aggressively prosecuting those charged with using foreign accounts to evade taxes, and the IRS has just announced another offshore disclosure initiative that comes with harsher penalties than the one in 2009. What is the status of the states at this time? New York, for instance, has collected $52 million to date through voluntary disclosures of offshore bank accounts by state taxpayers since 2009, according to information provided to Tax Analysts by the New York State Department of Taxation and Finance. Specifically, 964 state taxpayers applied to disclose hidden offshore accounts through the state's statutory voluntary disclosure program. The department has issued 928 agreements and received 643 -- or about two-thirds -- back so far. While there are no national statistics on disclosures of hidden offshore accounts to state tax officials since the UBS publicity -- these are the first numbers to be published -- the amount New York is generating through offshore disclosures alone soon will surpass the total the state collected through its general amnesty last year. The state's $52 million figure also is about one-eighth the amount generated at the federal level to date. "That doesn't surprise me," said Paul Behling, a senior partner at Withers Bergman LLP in New Haven, Conn. Behling is his firm's leading partner on a team of lawyers in the United States, Geneva, Hong Kong, and London dedicated to voluntary disclosure issues. About 15,000 federal taxpayers came forward under the IRS's voluntary offshore disclosure program that ended in October 2009. The IRS has closed the first 2,000 of those cases, generating about $400 million to date. Behling said not only that New York's numbers will go up, but also that at the federal level "the cases are moving much more rapidly now and those numbers are going to go up much more rapidly." "In my office we're seeing agents now getting to cases where there are tens of millions of dollars -- and in some cases, many tens of millions of dollars -- at issue for federal and state governments," Behling said. "And a lot of these have been clients in New York." Disclosing offshore accounts and filing amended returns at the federal level generally triggers a requirement to file an amended state return. "What the states are interested in is that they know not everybody is coming forward," Behling said. In New York and Connecticut, assistant attorneys general are attending sessions with members of the U.S. attorney's office where proffers are being made. "They're getting information on how they can proceed, independent of the federal government," Behling said. "They're looking to go after state residents that have not filed their state returns accurately." The issue is whether states have the resources to pursue offshore evasion that they detect, he said. Kevin E. Thorn, managing partner of the Thorn Law Group -- a boutique District of Columbia firm specializing in assisting clients who deal with tax agencies regarding their undisclosed accounts at UBS and other foreign banks -- agreed that the possibility of easy, "found" money has piqued the interest of states. The fact that states might not have as many resources to dedicate to enforcement efforts on this front means they've been accommodating when voluntary disclosures are made. "I haven't encountered a great deal of animosity," Thorn said. "They're not throwing up blocks when it comes to picking up income [that] taxpayers didn't report and paying up what they owe, especially in these economic times." Brad Maione, director of public information for the New York State Department of Taxation and Finance, noted that New York will receive a report on any state taxpayers disclosing offshore accounts to the IRS, and that if those taxpayers have not applied and been accepted into the state's voluntary disclosure program or have not filed amended returns, the state will be billing them for the additional state tax with interest and penalties. "A taxpayer should not assume that New York State will not be pursuing this information because the years are past the statute of limitations," Maione said. "The statute is opened when there is a change on the federal return that directly impacts their state return." Maione added that the department currently has no plans to change its voluntary disclosure program in light of the IRS's announced second offshore disclosure initiative. "We do encourage taxpayers to take advantage of it as soon as possible," Maione said. "As soon as we get any information from the IRS, either from their closed cases or ongoing cases, an audit or investigation will be opened and the taxpayer will no longer be eligible for the Voluntary Disclosure Program. That means that they will be assessed penalties and may be subject to criminal sanctions." "States do get IRS data. The only question is how soon do they get it and at what stage is it with the IRS," said Verenda Smith, interim executive director of the Federation of Tax Administrators. WikiLeaks, however, might throw everyone a curveball, she said. Rudolf M. Elmer, the former head of Julius Baer's Cayman Islands operations, in January handed over two discs of information to WikiLeaks founder Julian Assange that he said contain details of 2,000 prominent individuals and companies that used offshore bank accounts to engage in tax evasion. Smith attributed no small part of the WikiLeaks tax developments to the recent legal challenges brought by the U.S. Treasury and State departments -- and said state tax officials are grateful for that work. "I think WikiLeaks would not have happened without that work," she said. "It's an indirect but absolute result of their legal challenges." She also noted that should WikiLeaks publish such information, the states will have access to the same information at the same time the federal government does. "It's going to get checked out pretty thoroughly," she added. With the potential release of the WikiLeaks information, combined with the IRS's newly announced second offshore disclosure initiative, state tax officials "are following their usual steps of checking to see what they're going to get from the IRS first, and internally talking about what message they want to put out to taxpayers," Smith said. Virtually all states now have a voluntary disclosure program in place. At the height of the 2009 UBS publicity, seven states decided to offer additional, narrow offshore disclosure initiatives to complement the IRS's initiative. States that chose to run narrow initiatives did so to bring attention to the issue, Smith said. "It doesn't suggest the other states aren't interested or can't consider the same offer that the IRS would give." Not all of those states were usual suspects. "Wealth and financial sophistication will show up in places you don't expect," Smith said. "When you think of Green Bay you think of the Packers and not secret Swiss bank accounts. But I know from a long history of working with their Department of Revenue that they have a very vigorous pass through program because there's a need for it. Something's going on up there." Wisconsin had 34 voluntary disclosures of foreign accounts through its limited offshore initiative, according to information provided to Tax Analysts by the state Department of Revenue. With cases yet pending with the IRS, the DOR deferred sharing the amount it expects to collect. Connecticut continues to be one of the more aggressive states when it comes to pursuing unreported offshore taxpayers who might have undisclosed assets in Swiss or other offshore accounts. According to information from the Connecticut Department of Revenue Services, to date the state has assessed and collected $4.02 million in state taxes from 91 taxpayers who disclosed hidden offshore accounts through that limited program. There are still 30 disclosure agreements pending. Alabama and Minnesota expect to collect less than $1 million each from taxpayers who came forward under their narrow offshore voluntary disclosure initiatives, while New Jersey, Ohio, and Hawaii did not have figures about their limited offshore disclosure programs. Does it matter whether a state runs a limited offshore disclosure initiative? California's experience suggests it might. California is one of the states that did not conduct a limited voluntary disclosure initiative to run alongside the 2009 federal offshore disclosure initiative. And according to information provided by the state's Franchise Tax Board, the FTB has received only about 1 percent of the volume of voluntary disclosures that were filed at the federal level -- or about 150 state disclosures. [MI1]"One percent? 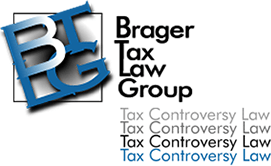 That's sort of surprising," said Dennis Brager, a former senior tax attorney for the IRS Office of Chief Counsel who now heads the Brager Tax Law Group, a tax litigation and tax controversy firm in Los Angeles. "What I'm wondering is whether the state of California is even correctly identifying disclosures made to the feds." During the height of the 2009 UBS publicity, the FTB instead issued a press release reminding California taxpayers that income related to offshore bank accounts generally is taxable by the state. The FTB urged California taxpayers to determine if they needed to file amended state tax returns. And that might be exactly what California taxpayers are doing – but without fanfare, Brager said. "As I sit here and think about it, we don't necessarily put a big red flag on it and say this is a voluntary offshore disclosure," Brager said. "We just put the additional income on and say something along the lines of, 'This change is being made to conform to federal tax returns.' So unless someone looked fairly closely at the federal tax return there's no way for California to say this is part of the fallout of developments at the federal level." When contacted again for a response to Brager's comments, the FTB acknowledged that 1 percent of the federal volume is a small number of voluntary disclosures.